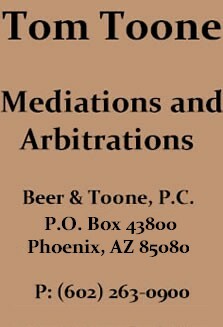 I ask that parties submit their mediation statements to me at least six (6) days prior to the mediation. The statements should be exchanged by the parties, unless both agree it would be advantageous to make them confidential. I strongly recommend an exchange of position statements. Should a party wish to provide me with confidential information to assist in settlement, that party may submit such information through a letter to me separate and apart from its memorandum. 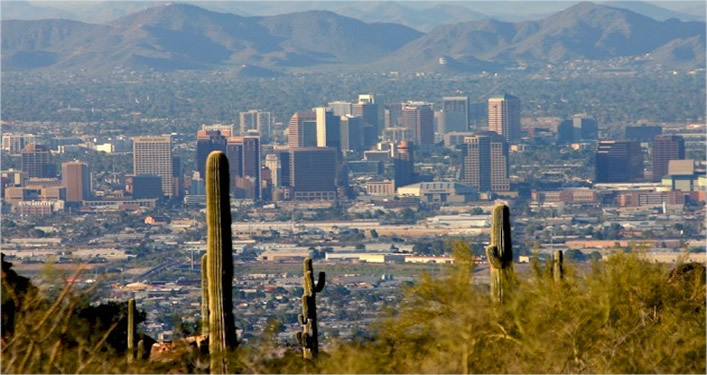 The mediation memoranda should conform with the requirements of Rule 3.11(c), Local Rules of Practice for the Maricopa County Superior Court, and each party should have in attendance a person with sufficient authority to settle the case. If the mediation or arbitration is scheduled for a full day, please be advised that I will charge for a minimum of four hours, plus preparation time, if the mediation or arbitration concludes in less than half a day. If any of the parties cancel a half or full day matter within 10 business days of the scheduled date, the parties will be assessed a cancellation fee as follows: half-day matter, $1,000; full-day matter $2,000, plus all preparation and travel time actually incurred. If a multi-day matter is cancelled within 30 calendar days of the scheduled date, the parties will be assessed a cancellation fee of $2,500 per day. If another matter or matters can be scheduled in the cancelled time slot, the cancellation fee will not apply. Every effort to reschedule will be made. The cancellation fees assessed will be allocated equally between or among the parties, and each party will be responsible for its share of the fee, except and unless the parties specifically agree upon and direct a different allocation.